Targeted advertisements on Facebook, Instagram or Google are no novelty. Yesterday you were looking for plane tickets to Barcelona. Today you log into your Facebook account and the first thing you see is a banner offering you a hotel for booking, a car for renting and God knows what else in Barcelona. And it’s no surprise that mobile apps are not lagging behind. In 2017 the number of mobile phone users has reached 4.77 billion and it’s expected to pass the five billion mark by 2019. Who wouldn’t want to use that number of users to advertise their brand in mobile apps? Let’s see which are the most popular types of mobile ads that can help deliver your message to this immense mobile universe. Banners are probably the oldest form of mobile ads. Mobile ad banners originated from their web marketing ancestors and have survived their far more advanced rivals, such as rich media ads, for instance. They are usually embedded into a web page or application. Banners are often about images, not texts. The main idea of this ad type is to attract users from the host page to the advertiser’s website, page or app. The logic behind banner ads is simple: get your text-only or image+text banner displayed and wait for users to come by and click on it. Some people say that mobile banner ads are dying out. Have you heard of ‘Banner Blindness’ — when users consciously or subconsciously ignore banner-like information? Well, there you go. But honestly, that’s too early a conclusion: according to Statista report, in 2017 China alone has generated $7,778.5 million according to Statista report. 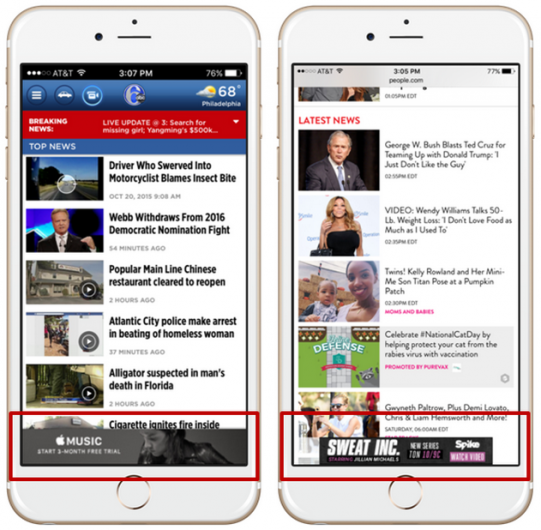 Native ads in their nature are very close to banners, but they are less evident to be treated as direct advertisement content. These ads are designed to blend in with the natural mobile environment and be perceived as part of the app, not another banner ad. On top of that, native ads have one doubtless advantage — unlike banners, native ads can’t be blocked. In fact, according to studies by Sharethrough.com and IPG Media Lab, the time spent for watching native ads, which is actually sponsored content, is practically the same as for the original editorial content. 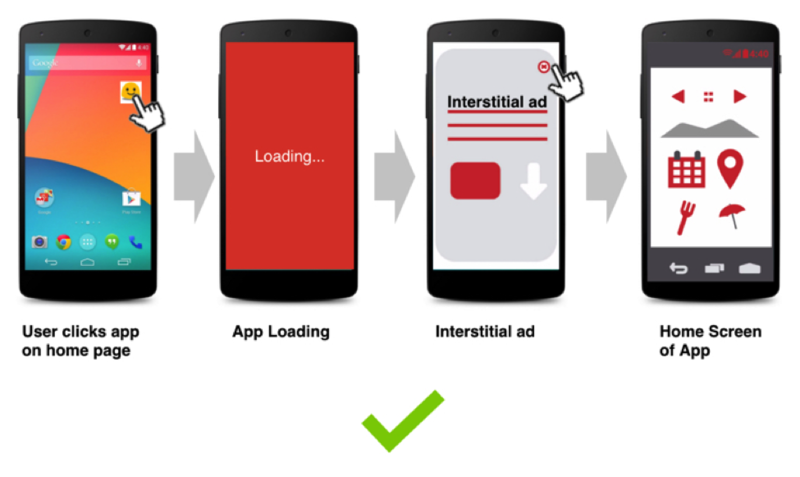 Interstitials are full-screen images or videos that appear at natural app transition points such as going to the next game level. Such ads have higher click-through rates than banner ads because of their sizes and bigger impressions on users. There’s one essential thing to be remembered when using interstitials — they are to be displayed only when the user has completed a task. Never. Never-ever-ever interrupt a user when they’re engaged in the main app activity or gameplay. Just make interstitials appear when they won’t irritate users too much. 4 billion dollars were spent on mobile video ads in 2017. In 2019 the cost is expected to reach 7 billion. Unlike banners or interstitials, video ads are not considered to be so distractive. 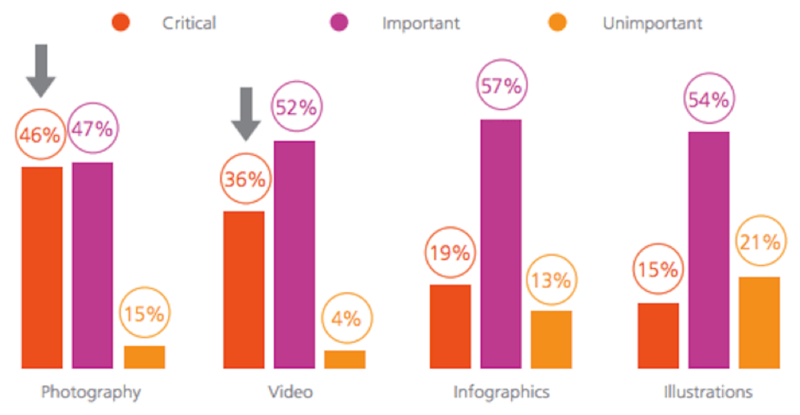 Users don’t need to multitask with a video ad when they use a mobile device. Recent research from Google and Ipsos suggests that watching video on smartphones is “far less distracted than it is on TV”. When creating a video ad, you need to follow some simple rules: keep it simple, make it creative, make sure it’s not irritating in its visual or sound form. That’s another video ad type. The difference lies in the reward thing — users get rewarded for watching your ad. The main goal of such ads is to increase ad revenue for the app publisher. 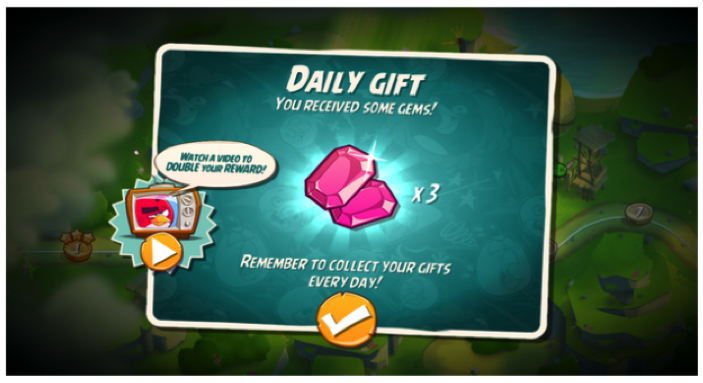 It’s known for being a great way to monetize an app and to introduce freemium game content. Like all other video ads, rewarded videos are to be super-creative and engaging. You’d better encourage users with new rewards and experiences in order to have high retention rate. These videos are non-skippable, so it has greater chances to grab users’ attention. And don’t forget to add an appropriate call-to-action to reap even greater result. Not to be intrusive, the rewarded ad should be placed at the right time. It could be, let’s say, the moment when the user is losing a game session or can’t pass a game level and definitely needs some aid. Just remember about balance: don’t put too many meaningless rewarded ads, that’s irritating. That’s another format of interactive advertisement. It can include various creatives — audio, video, text, images or even mini-games. Rich media gives users an enhanced experience and helps developers to stand out in the massive crowd of ad publishers. Rich media ads are considered to be highly interactive which could stimulate brand awareness and purchase intent. Such ads do not force users to quit the session, so the user experience wouldn’t be damaged. 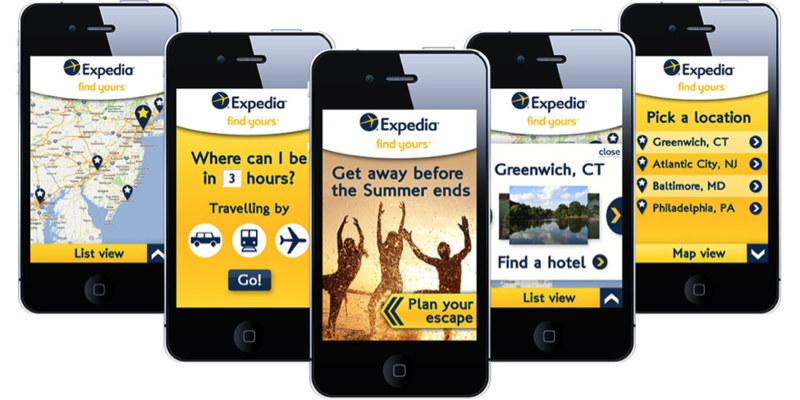 Mobile ads can have multiple forms and placings. Even though people are used to all these forms, your creativity and wisdom in choosing the time&place to display them can play a great role. Any question left? Don’t hesitate to ask them in the comments below.